Ms. Wendy Long spends a lot of time planning itineraries when she travels, so why not think of one for her own hometown? How would I explore my own country, Singapore, if I were a tourist? As with every travel plans that I make, the first major decision is accommodation. If I’m all for relaxation, then staying in Sentosa is a great idea as one feels shrouded from the hustle and bustle of the city – but is only 10 minutes away from all the action on the ‘main’ island. 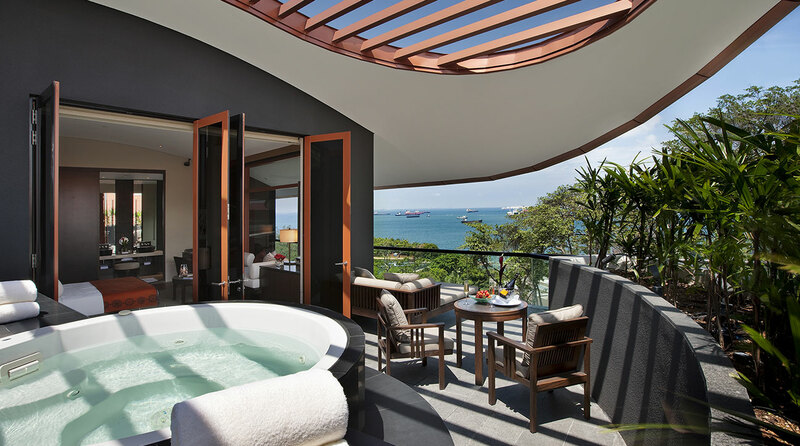 Capella Singapore on Sentosa Island, set amidst lush greenery with sea facing villas, will be my idea of a luxurious getaway. The juxtaposition of heritage colonial structures and its contemporary extensions as designed by Foster and Partners, brings a touch of elegance from a bygone era but with all the modern amenities for discerning travelers. I’ll kickstart my vacation with a four-hour wellness experience at the award winning Auriga Spa. Three different packages are available, and all sessions come with a spa meal at the respective restaurant as well as access to the cascading swimming pool. In the heart of the Marina Bay area, then Fullerton Bay Hotel will be a perfect choice to soak in the pulsating energy of the surrounding Bay area and its stunning view. I’ll book a heritage afternoon tea at the gorgeous Clifford Pier followed by sundown cocktails at the rooftop bar, Lantern. 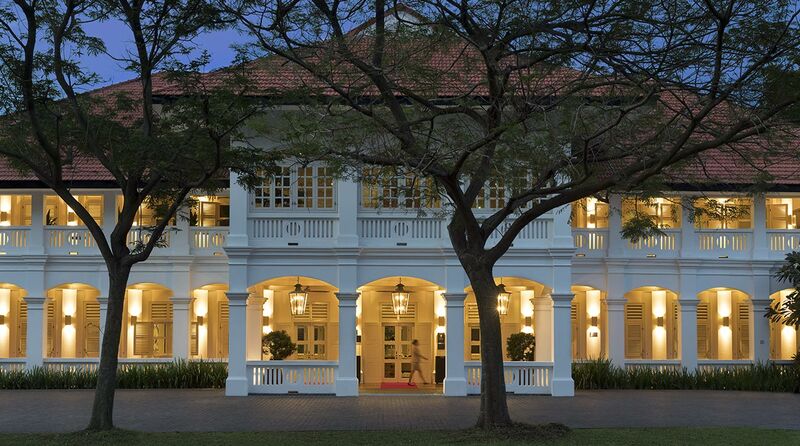 The hotel maximizes the stunning views of Marina Bay, and is just a stone’s throw from Singapore’s heritage precinct. During Formula One weekend, the Marina Bay area is really where all the action is and as a visitor, a glamorous night race right at the heart of the scene is not to be missed. It is also the best time to see Singapore in all her glitzy glory. Grab tickets to the Paddock Club; join in the post race revelries at the concerts, which are often headlined by big international acts and party the night away at Amber Lounge. After all, the night race is the crown jewel of the Formula One series, so what better time to visit Singapore then during Formula One? Thirty-nine, seven, eleven: If numbers are everything, then Singapore is looking very delicious. According to the Michelin Singapore guide 2018, there are 39 Michelin starred restaurants in Singapore (34 one-Michelin star restaurants and five two-Michelin stars restaurants). 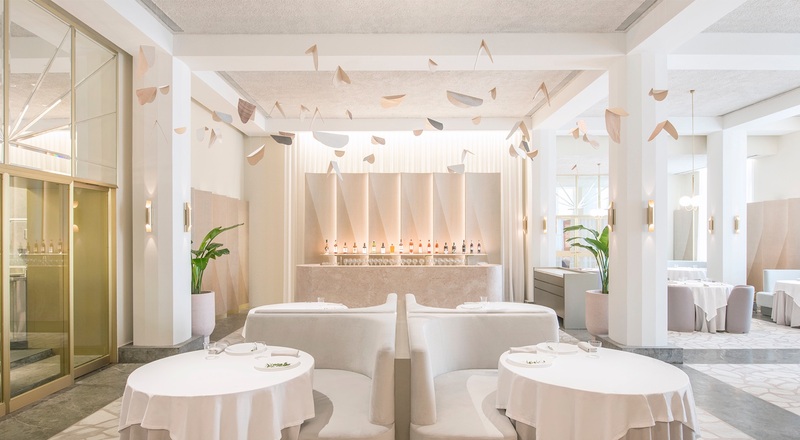 Seven restaurants made it to Asia’s top 50 restaurants list in 2018 with best performer, two-Michelin stars Odette being ranked No.28 in the world’s top 50 restaurants 2018 list and No. 5 in Asia, making it arguably Singapore’s top restaurant. Eleven bars were recognized in the Asia’s top 50 bars list (2018), that’s a 20 per cent representation with the top spot going to Manhattan Bar at the Regent Hotel. As any Singapore itinerary must include dining options, so why not start with our highest ranked restaurant, Odette? Even it’s location, the heritage Neo-classical National Gallery is worth a visit. It’s steeped in history with beautiful bones, and plays host to block-buster exhibitions like last year’s Yayoi Kusama: Life is the heart of a Rainbow. I’ll follow up the visit with Candlenut, the first Michelin-starred Peranakan restaurant. It is uniquely Singapore, and serves the amalgamation of old and new, east and west, on a plate. The juxtaposition of casual street food and high-end gourmet restaurants has intensified over the years not least because of the openings of Resorts World in Sentosa and Marina Bay Sands at the Marina Bay area, which introduced many internationally acclaimed celebrity restaurants to Singapore’s sunny shores. At Marina Bay Sands, one can choose to dine at famed American chefs Wolfgang Puck’s Spago and Cut or Daniel Boulud’s DB Bistro, party at Tao group’s Lavo or regional top-billed Ce La Vi, which is making waves across Asia from the 57th floor rooftop of the Marina Bay Sands hotel, bordered by the iconic infinity pool that has defined the building as a symbol of a glitzy, ritzy Singapore. There’s more than just haute cuisine and electrifying nightlife at the Marina Bay Sands. The sprawling convention center, intimate theater and unique exhibition space, Art Science Museum, are home to events for discerning travelers, from the annual Art Stage exhibition, which brings together top art galleries from around the world, to a stream of internationally acclaimed acts like the recent Celine Dion concert and last year’s Crazy Horse. Not forgetting the vast shopping mall with almost every major fashion brand under one roof – a haven for any fashionista. For a city that is only 53 years young, Singapore has come a long way from her early colonial days. As a tiny island, Singapore more than holds her own among other big cosmopolitan cities. It is surreal to think that we have here all the best restaurants, shops and experiences that the world has to offer. Perhaps that is true luxury—to have the best right at your doorstep.